As you prepare for the first day, there is always so much to do. Setting up your room, finalizing your syllabi, getting your grade book set up, collecting your textbooks, attending gobs of meetings. This post is not about those things! 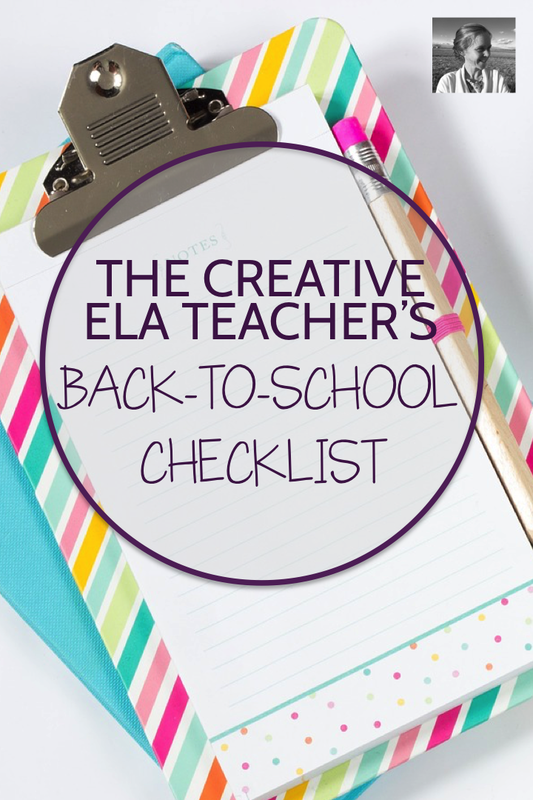 Rather, it's a list of ideas for helping you put some creative structures in place early so that the many details of those busy first weeks don't overwhelm your desire to prioritize creativity. These are things you can consider and prepare for over the vacation and put into place as the year begins. 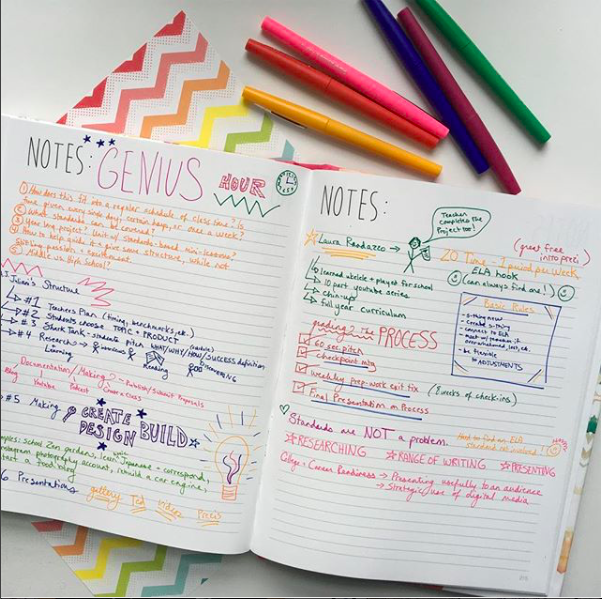 Sketchnotes are growing in popularity but still a fresh strategy to offer your students. 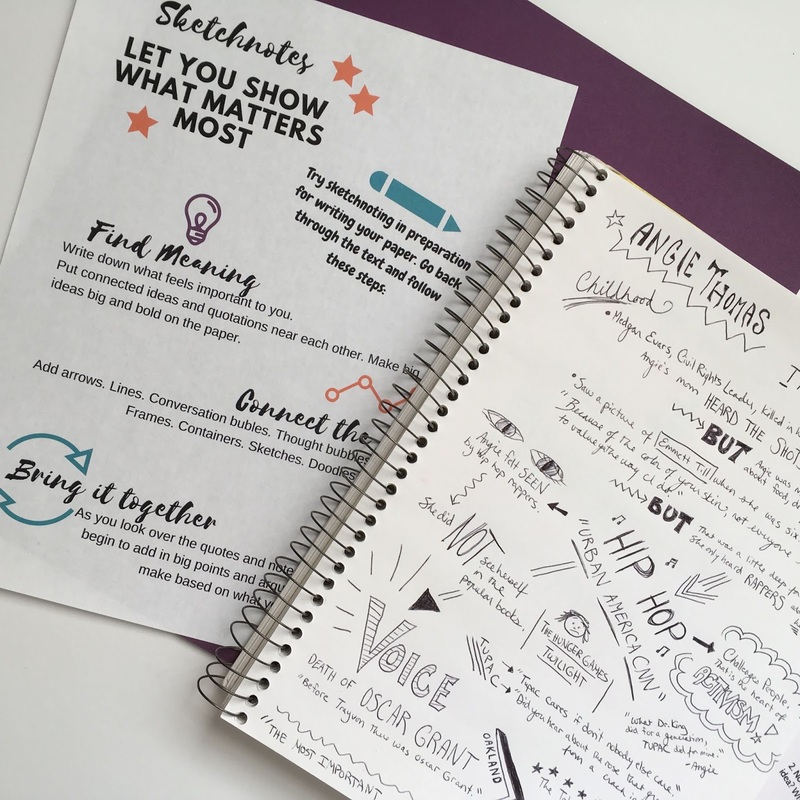 Take a little time to download a free sketchnoting activity or bookmark a great video about how to sketchnote now, so that as school opens you can introduce this strategy to your students and help guide them toward a more engaging way of taking notes on anything and everything that you study in class. Gathering props, wigs, costumes and face paint on a shelf or two in the corner of your classroom can really up your creative game. I’m always amazed at how much high school students glory in dressing up. A wig may be just what one of your students needs to become a Shakespearean character during a reading or perform his best during a reader’s theater group scene. Flexible seating is all the rage. But even if you can’t afford beanbags, cereal bowl chairs and squashy couches, you can come up with a few different ways of arranging your classroom for a few different needs. Imagine some of the scenarios you see unfolding in your classroom (literature circles, gallery walks, roundtable discussions, editing partners, etc.) and quickly sketch how you’d like to arrange your tables or desks for these days. And keep your eyes peeled at garage sales and thrift shops for benches, stools, coffee tables, and poofs that just might help you transform a corner or two of your classroom. Genius hour can help you connect with and empower your students. When you build in time for genius hour, you give your students the opportunity to pursue something they are passionate about. It's not difficult to create a connection to ELA (and the standards) inside almost any project (the research, reflection, video creation, final presentation, etc. makes it easy!) so ELA teachers are lucky to have this chance to tap into students' passions. Learn more about how to get started in this podcast or this blog post. Pick up this free handout explaining the concept of classroom committees and have it ready to share with your students. Letting students take ownership over major classroom events (poetry slams, play performances, reading festivals, etc.) will make the events WAY better and take a ton of work off your shoulders. Creating an independent reading program in your classroom is no overnight feat. 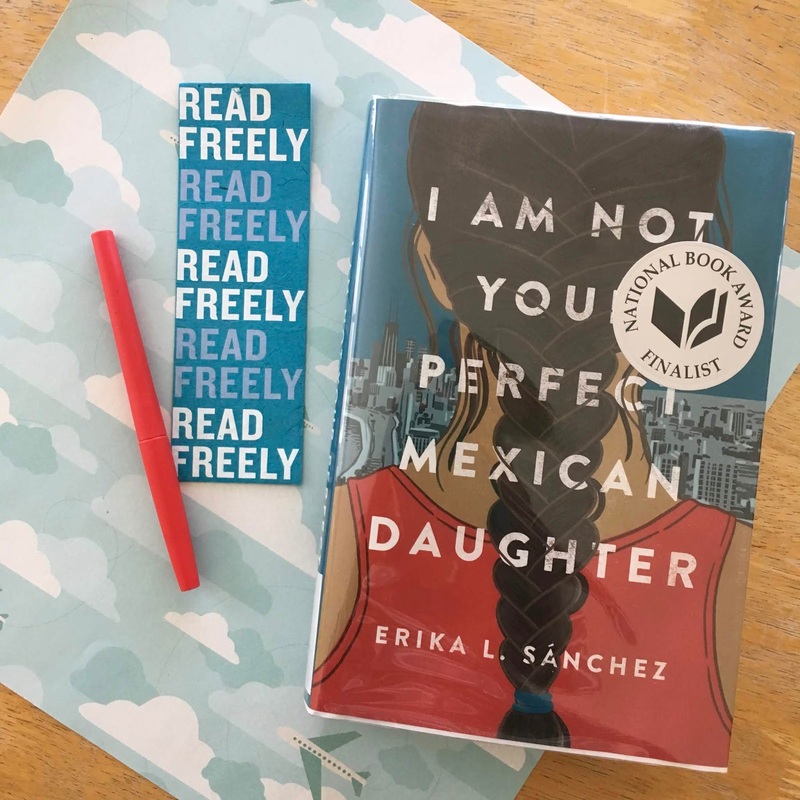 Taking the time to gather great books from your own shelves, your friends' shelves, library book sales, and ideally, the library at your school, is an amazing gift you give to your students. Opening up their eyes to the huge range of books out there is an incredible way to foster their creativity and their language skills. In my experience, a great reading program also creates a much deeper connection between teacher and student. Learn more about setting up a classroom library here. It’s easy to forget the power of guest speakers. Summer is the perfect time to talk to friends and friends of friends who might want to come in and visit your classroom. It can be as simple as a series of short books talks, in which adults from around your school come in to give a two minute spiel about their favorite book. Or as complicated as that actor friend of yours coming in to run a week-long theater workshop while you’re studying drama. Contact a variety of guest possibilities over the summer (ELA careers series? Creative writing workshops? Interdisciplinary connections?) and schedule them before life gets too busy. Every primary teacher has his or her collection of amazing art supplies – but what of the secondary crowd? 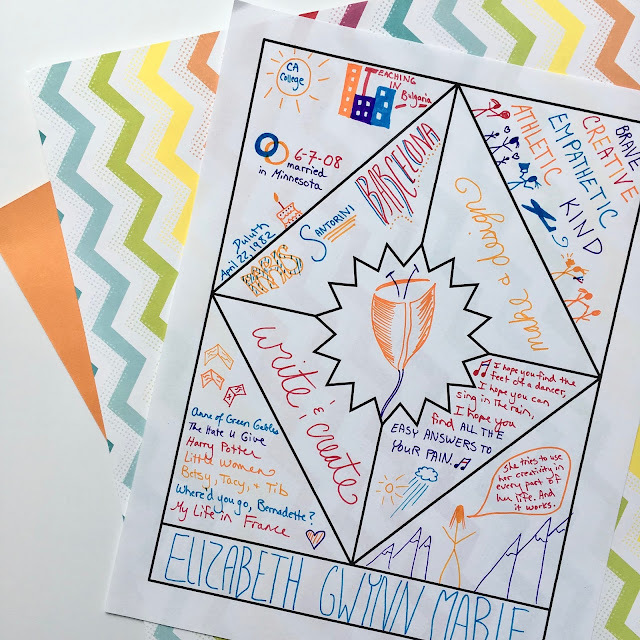 Though not every student who comes through your door will want to take advantage of it, having a section of great art supplies will help bring one-pagers (grab your free templates here! ), storyboards, graphic novels, political cartoons, murals, and more to life throughout the year. No one HAS to use them, but everyone CAN. If you’ve never tried a collaboration before, this is your year. It’s an amazing way to broaden your students’ horizons and give them an authentic audience for their work. Listen to this podcast chock full of ideas for collaborations and then hop into my Facebook group, Creative High School English, to find a partner or just share ideas with thousands of other creative teachers. Give students a chance to combine making and writing when you prep a small section of your classroom with maker materials. Index cards and rolls of paper can help students who want to do maker drafts of their writing, scrawling ideas everywhere before arranging them. Colorful chalk and whiteboard markers, paints and an easel, legos or clay – any of these can help students “make” settings or characters before imagining a story around them. A summer trip to the dollar store or the Target Dollar Spot will easily and inexpensively get you started gathering materials. Read more about this amazing option for a creative classroom right here. One-Pagers are such a great way to process texts - podcasts, films, literature, and even vocabulary. The combination of visuals and text helps students to think critically about what they have taken in and remember it better. 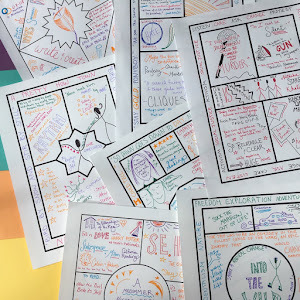 You can use a wide range of one-pagers throughout the year, but starting out with one about the students themselves is a great way to accomplish many goals. You will introduce the pedagogy, learn a lot about your students, and get the makings of a beautiful student-centered display for one of your classroom walls. The world gets more interdisciplinary every day. I’ve got one cousin who got his PHD in Engineering who now runs his own artisan perfume company, Sfumato (so amazing! Check it out here!) and another who majored in theater and is now helping Santa Fe turn garbage into biodiesel and compost with her environmental non-profit, Reunity Resources. In the modern era, students will combine their interests with their environment and draw on all the skills they have to be successful. We can’t know what they will do, exactly, but we know it will probably draw on multiple disciplines. Working that into your curriculum in intentional ways will help it feel more relevant and exciting for your students. I love creating projects like “Literary Character Designs an App” and “The Literary Food Truck Project” that connect different disciplines and student interests. Spend a little time considering how you could incorporate an interdisciplinary project this year and reach out to a teacher in another subject to plan before the mad rush of fall. I hope this turns out to be your most creative year as a teacher. I find that the more I think of myself as a guide seeking to unlock student creativity, the happier I am. I don't want to be their guru, because they won't have me forever. I want to show them the amazing creative potential waiting inside them. Have you joined my e-mail community yet? 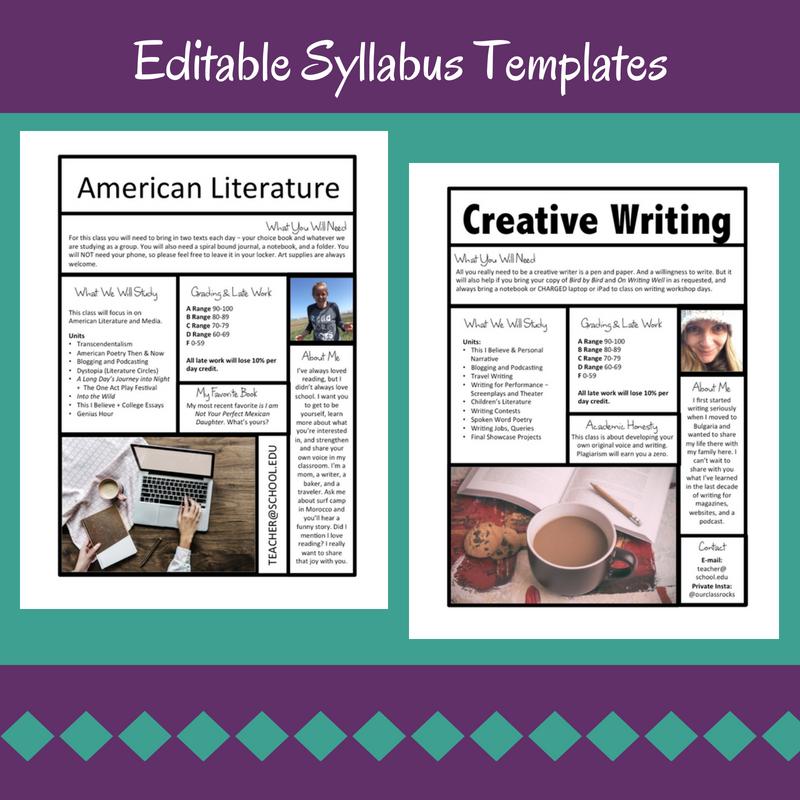 Sign up below for insider freebies, fun classroom ideas, and podcast and blog post highlights delivered to your inbox, and you'll also get two great editable syllabus templates to help streamline your work at the start of the year.